One of Islay’s most impressive yet well hidden waterfalls, Eas Mòr waterfall at Lower Killeyan on the Oa. It is fed by Abhainn Ghil. 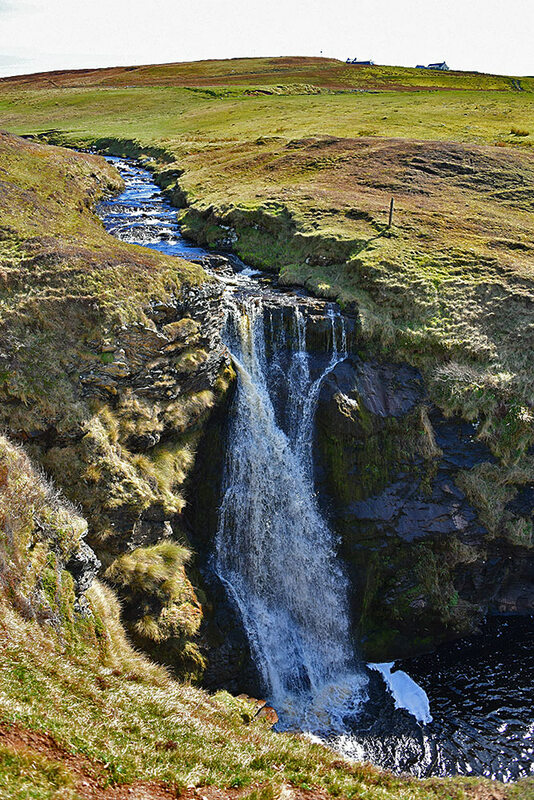 This entry was posted in Landscape, New Post, Sunny Weather and tagged Abhainn Ghil, Eas Mòr, Islay, Lower Killeyan, The Oa, waterfall by Armin Grewe. Bookmark the permalink. Well worth the visit. Pretty well hidden, e.g. you can’t see it from the sea.